Welcome to the 'Study and Exam Skills' part of 'Go The Distance'! 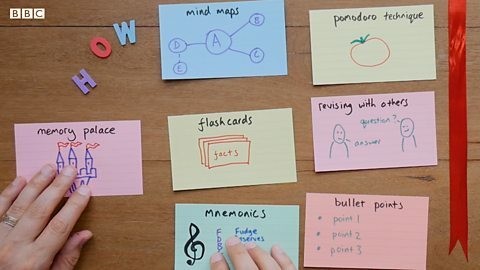 On these pages you'll find a series of short, fun animations, full of advice, tips and tricks to help you become a better learner in all the key areas of your study life. In these videos, you'll get practical tips on note taking, thinking critically, writing assignments, managing your time and lots more! Let's get you on the road to better learning! We all know how to learn, don't we? After all, we've been learning for a long time. But stop a moment. Very often we focus on WHAT we're learning, not HOW. Knowing how to learn is important. You can reduce your workload and get better results. Interested? Of course! Watch the video to find out more. Which study methods work for you? What's the shortcut to successful study? Here's the bad news: there's no single path. The good news? You can find the way that’s right for you. Watch the video. See if you can pick up seven main ways in which you can improve your study skills (write them down if you like). Then scroll down to check your answers. We all know how to learn, don't we? After all, we've been learning for a long time. But stop a moment. Very often we focus on what we're learning, not how. Knowing how to learn is important. You can reduce your workload and get better results. Interested? Of course! So, what's the shortcut to success? Here's the bad news: there's no single path. Good news? You can find the way that's right for you. How? Reflect. This means to think deeply about yourself, not to look at yourself in the mirror, so you can understand how you learn best. Let's go back in time. Think about a good learning experience in the past. Why was it good? And a bad one: what were the difficulties? How did you feel? And what about now? Which aspects of study do you struggle with? What comes easily? You can keep a learning journal as you continue studying, to understand your strengths and weaknesses. And consider your motivation for studying. You'll begin to understand yourself better. All this can help you prioritise, and to make a study plan, including selecting the best tools for you. Not those kind of tools: study tools and techniques! Why not pause the video and look them up? There are lots more. And we're here to help you learn how to learn. In this series of videos, you'll get practical tips on note taking, thinking critically, writing assignments, managing your time and lots more. 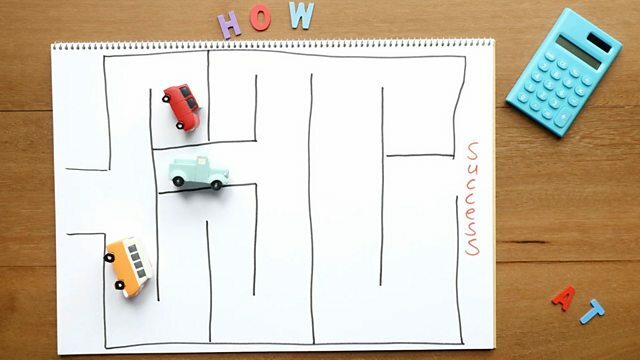 Because once you know how you learn best, you're in the driving seat. You've nearly reached the end of this unit. At the bottom of this page you can find links to more useful study skills materials. But before we finish, let's take another look at what we've learned about learning better. Check to see if you identified all seven tips! Review your past learning experiences – good and bad! Watch the rest of our Study skills videos! Visit our partner The Open University for more study tips – just click on the 'Where next?' link.